The FINANCIAL — The Royal Bank of Scotland Plc (RBS) believes Chinese Renminbi (CNY) can potentially become a world reserve currency comparable to the USD. This is one of the findings in the newly released research report ‘CNH Market Guide: A precursor to internationalisation of the Chinese Renminbi’, the most comprehensive research yet to look at the offshore CNY market in Hong Kong, also known as the CNH market. The combination of growth in the offshore CNY market and the sheer size of the Chinese economy will support the Chinese government’s ambition to internationalise its currency, according to RBS. “China now holds 30% of the world’s USD9trn foreign reserves. The other 70% which does not belong to the People’s Republic of China (PBOC) could potentially be held in CNY. 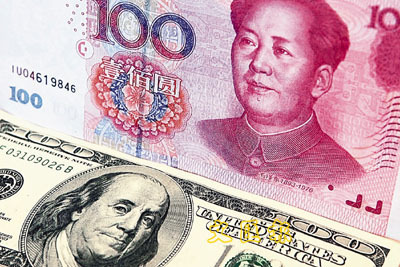 As China’s share of world trade matches that of the US, the demand created for CNY to settle exports and imports could potentially be as big as that for USD,” said Woon Khien Chia of RBS Emerging Markets Strategy, Asia ex-Japan. RBS also projects that CNY deposits in Hong Kong will rise to CNY700 bln – 800 bln by the end of 2011 based on comparable growth in deposits to the second half of 2010. At the end of January 2011, CNY deposits stood at CNY371 bln. Meanwhile, total outstanding CNH bonds amount to CNY74 bln, accounting for only 20% of CNY deposits in HK. RBS expects the CNH bond market to remain attractive to potential issuers given that the offshore CNY bond yields are considerably tighter than the onshore market. For example, Dim Sum Bonds – CNHdenominated bonds – of the Chinese Government have been trading at about a 200bp discount in yields to onshore issues. In fact, the gap between onshore and offshore actually widened when the PBOC started raising interest rates in October 2010. The coupon on the 2-year ICBC Asia issue on 8 October 2010 was 2.3% whereas the coupon for a subsequent 2-year CNH bond by ICBC Asia in February, in which RBS acted as a bookrunner, was only 1.1%. For now, Asia investors are dominating the CNH bond market, with the majority from Hong Kong, where most of the CNY deposits reside. RBS expects that this will gradually change over time as other countries like Singapore prepare to set up their own offshore centre. “An important prerequisite for any country to set up its own offshore CNY centre is a CNY swap line from the PBOC. The Monetary Authority of Singapore (MAS) was the latest of the eight foreign central banks to receive a CNY swap line from the PBOC. The amount that Singapore received was not only the third highest in absolute term, it was the highest in proportion to Singapore’s market share of China’s total trade in Asia. This shows the importance China has placed on Singapore as a potential offshore centre to help it to advance its agenda of internationalising the CNY,” said Ms Chia. The growing success of the CNH market may put strain on the Hong Kong dollar’s peg, as Hong Kong savings are expected to be increasingly drawn away from local currency to CNH over time, to the extent that the CNH may eventually become a favoured unit of transaction rather than a mere investment vehicle. However, the Chinese government’s ambition to internationalise CNY is not without challenges, namely currency appreciation pressure and the risk of overheating. The report concludes that Chinese policymakers will have to accept that the pressure on the CNY to appreciate will continue to grow in the course of internationalising it; the more supply is restricted, the greater the pressure to appreciate.